This does not work for most deaf people, and can often make mental health treatments less effective as the three-way conversation can cause stress or misunderstanding. Deaf people should be able to choose to see a therapist fluent in sign language. the Joint Commissioning Panel for Mental Health (JCPMH) and Deaf health charity SignHealth, have published Guidance for commissioners of primary care mental health services for deaf people (PDF). Due to their unique life experiences, Deaf people require different primary mental health car. 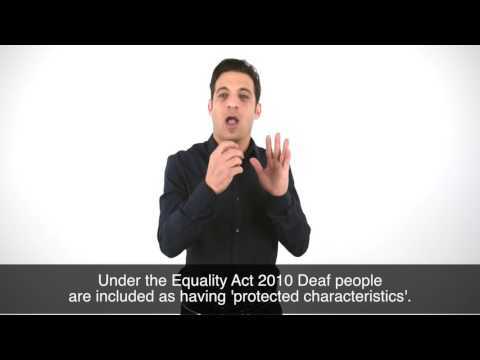 Commissioners should commission appropriate cultural and linguistic provisions when planning services for Deaf people. Psychological therapy in British Sign Language (BSL) is as cost effective, if not moreso, than a hearing therapist using a BSL/English interpreter. Where services are commissioned that require sign language interpretation, commissioners must ensure the provision of interpreters is of high a standard, as highlighted in NHS England’s Quality standards based on the Principles for High Quality Interpreting and Translation Services in Primary Care 2016.